Kuranda Range Kennedy Highway Geotechnical Works - Pensar. The Infrastructure People. 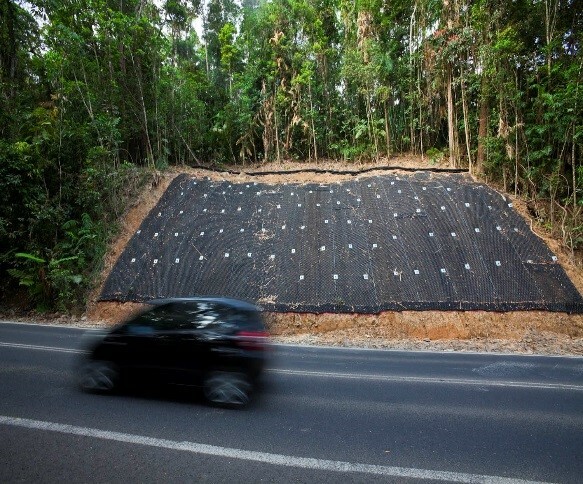 This Slope Stabilisation project was implemented to ensure a critical network link between Cairns and the Atherton Tablelands remained open throughout the tropical monsoonal wet season. Clearing and grubbing in a World Heritage Tropical Area. Rock scaling and batter regrading using a long reach and at times beyond the reach of a long reach. Earthworks excavation and embankment works including the rock armouring of downslope batters on a narrow, winding and busy road. Traffic management that included contraflow, 24hr lane closures and the use of temporary traffic lights over a 24hr period in extreme weather conditions. Slope stabilisation and protection works. Soil nailing and rock doweling both upslope and downslope using elevated work platforms and sleds. Shotcreting both upslope and downslope batters using fibred and unfibred reinforced coloured concrete. The installation of steel wire gabion and mattress works downslope to enable curve widening and out fall structure protection. High tensile steel and erosion netting was installed on both upslope and downslope. Construction of a fauna crossing. This was the first project undertaken by DTMR on the Kuranda Range to feature 24hr construction work. The project addressed several well-known locations along the route which previously were not wide enough for trucks to pass without collision. Works took place in an environmentally sensitive World Heritage Tropical Area. Work was undertaken during the wet season under strict environmental regulation by the Wet Tropics Management Authority (WTMA). The project survived Cyclone Ita, was constructed on time and budget and received positive feedback from local stakeholders both during and after construction. There were no lost time injuries. 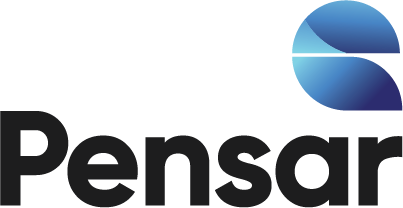 Works required detailed planning in regards to safety, environment, staging and traffic management issues. All works were undertaken in accordance with strict TMR specifications and supervision.